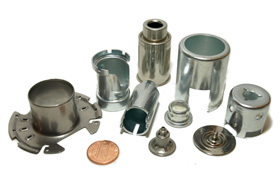 ITW Drawn Metals is a major supplier of airbag component stampings serving many of the largest system suppliers in the world. 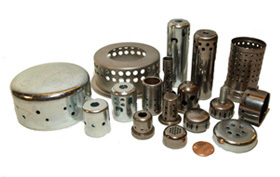 Stampings supplied include those used for driver, passenger, and side impact airbag components as well as seat belt pretensioners & initiators. ITW Drawn Metals designs and manufactures deep drawn parts for fuel pumps, fuel injectors, fuel rails, capless fuel fillers, and fuel filters. 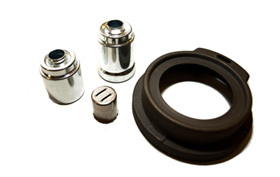 The designing of parts for anti-lock (ABS), master cylinders & brake boosters, speed sensors, dust covers & caps, hose connectors, steering pump sleeves, and body mounts shows ITW Drawn Metals’ wide variety of capabilities and capacity to serve the automotive industry. 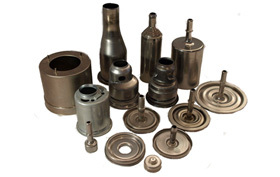 ITW Drawn Metals prides itself in the capability to serve the automotive industry through engineering and manufacturing of multiple engine management control stampings such as on/off solenoid shells, proportional solenoids, ECU covers, and water pump seals, thermostat housings, motor housings, EGR housings, and modulator covers.